Robert Dover in front of his medals. What does Robert Dover remember about his first horse? “Every single thing,” he responded with a laugh. “You know, it’s interesting because life goes by so fast, but things like the milestone of having your first horse, or your first major win, or your first Olympics, those things feel like yesterday.” From his first horse at age 13 to his first Olympics as the USEF’s dressage technical advisor and chef d’equipe in 2016, Robert’s life has given him the experience needed to be the perfect candidate to lead U.S. dressage. 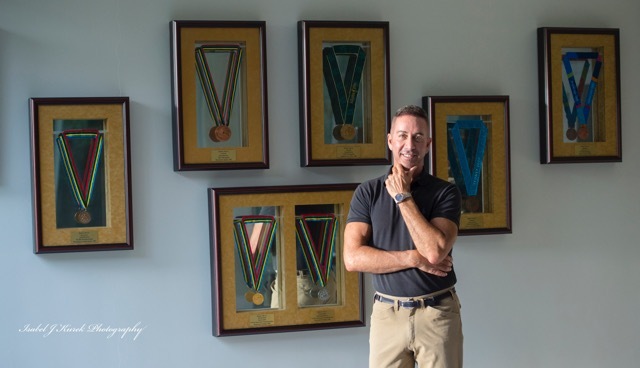 Robert competed in the Olympics six times in his riding career, every summer Games between 1984 and 2004, winning four team bronze medals in the process. Among a slew of national and international victories, totaling over 100 grand prix wins, Robert was five times the USEF Dressage Champion and rode in the FEI World Cup Final seven times. 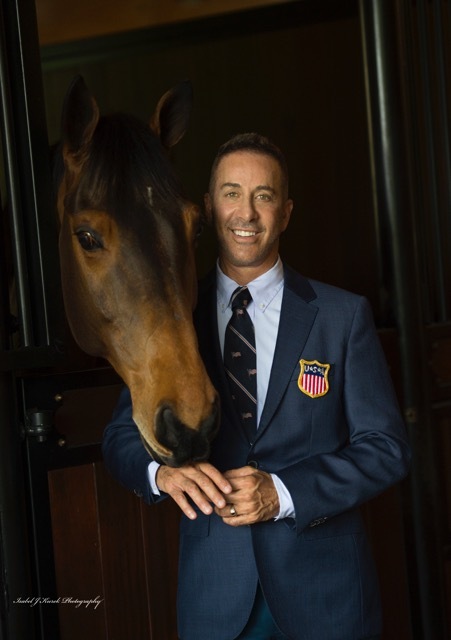 After being appointed as the technical advisor for USEF’s dressage program, it was Robert’s “Roadmap to the Podium” that helped the U.S. earn team bronze in the 2016 Rio Olympics. And he isn’t ready to stop yet. 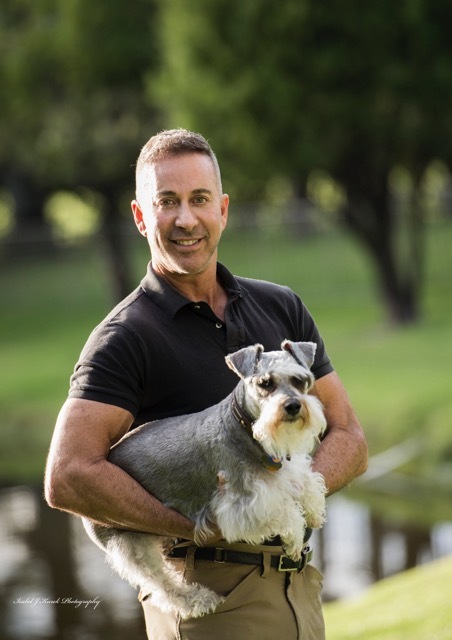 “My first horse was my bar mitzvah present from my parents, and at the time, I was living in the Bahamas where I also had the first bar mitzvah in the history of the Bahama Islands,” Robert said. He’d been riding for just over six months, getting his start at a farm just outside Toronto, Canada, with the basic principles of riding and sitting correctly, mostly on a lunge line. 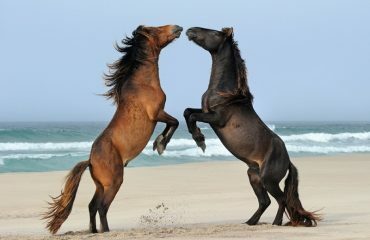 When his family moved to the Bahamas, Robert began working with Myra Wagener, who’d come from England and the British Pony Club. “So I was immediately taken under her wing, along with many other kids there, and started learning all the rules of Pony Club,” he said. Robert and his dog Simon. 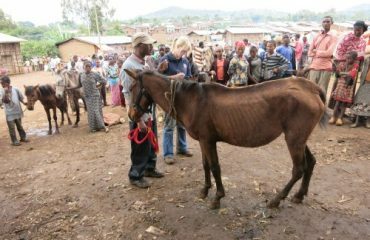 Ebony Cash was flown to the Bahamas, but when the plane arrived, a problem quickly presented itself: at such a small airport, they had nothing prepared to unload a horse from the plane. With only a forklift to work with, the airport personnel dismantled the chest-high crate the horse was shipped in and reassembled it on the forklift at the plane entrance. “So I led him out onto this very scary forklift where he could look straight over at 20-whatever feet in the air, and they slowly brought the horse and I down with the forklift,” Robert related. Robert owned Ebony Cash until he was nearly 15 and his family had to leave the Bahamas. Since he couldn’t afford to take the horse along, Robert sold him to a friend for $3,500 — the first profit he made on a horse. The next morning, roads and track preceded the cross-country course. The track was simply a mowed path in a square field with red flags on the right and white on the left to indicate turns. Robert galloped confidently around about three-quarters of the track before things went awry: a small path led into the woods, rather unfortunately for teenage Robert, at the same point as a small red property marker flag. “I saw that, and took the path directly into the woods. And about seven or eight minutes later, I’m going down a hill and across a creek thinking, ‘This doesn’t look familiar to me.’” After backtracking, Robert reappeared on the track 14 minutes later and finished with 120 time faults. Robert’s goal is to create sustainable excellence in U.S. dressage. Things moved quickly after Robert decided to focus on dressage. At the time, he was at the barn of Elizabeth Lewis just outside of Atlanta, Georgia. Elizabeth’s trainer was Colonel Bengt Ljungquist, who was also the coach of the U.S. Olympic Dressage Team. Robert began going back and forth from the University of Georgia to Maryland to work with Colonel Ljungquist, and soon made the move to Maryland entirely. After working several smaller positions back east, Robert had the opportunity in 1982 to go to Germany and work with Willi Schultheis, the German dressage coach who took Germany’s dressage team to Olympic gold, two world championships and three European championships. The next night, Michael called again. Robert told them that he appreciated it, but he had just taken his job with Schultheis six months previously, that was not interested in moving, and hung up. The third call came the following night, with both Schockemohle and Kasselmann on the line. “I started to say I wasn’t interested, and they said, ‘Wait, wait. Here’s what we’re offering you.’” With twice the money, many horses to compete on and a superhorse that would enable him to try out for the Olympics in two years, Robert was finally convinced to take the job. Taking the job with PSI introduced Robert to Romantico, the horse that would be Robert’s first Olympic mount. The pair had been winning grand prix, including the Palm Beach Derby, in 1983 when they went out for the Pan American Games team, when Robert was just 24 years old. At the time, the selection process involved testing in front of judges, but without getting scores, and the coach and judges made the team decision. “I thought I had done very well, from what the judges had said,” Robert remembered. The riders were taken upstairs at Gladstone, where the tests were held, and lined up. Coach George Theodorescu stood by the door as Billy Steinkraus spoke. “We were all lined up, and Billy said, ‘Thank you, you all did really well, and here’s the team.’ So he said, ‘Hilda Gurney,’ at which point I thought, ‘Oh, that’ll be nice, I’ll be on a team with Hilda Gurney. That’ll be great!’ Then he said, ‘Kay Meredith,’ and I thought, ‘Well, okay, so I wasn’t second or whatever, but I’ll be third on the team.’” They proceeded to announce the rest of the team members: Robert was not among them. 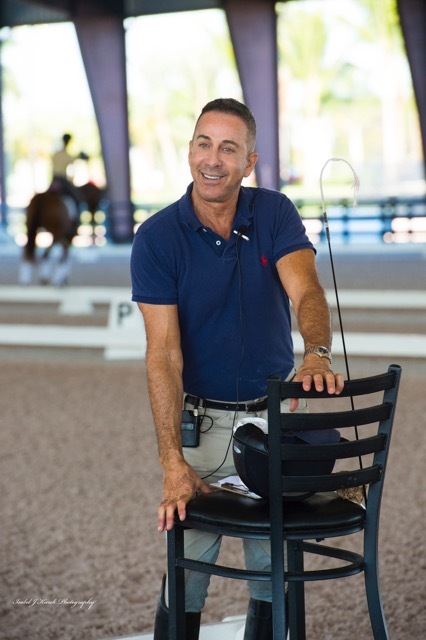 Robert teaching in Wellington, Florida, during the Robert Dover/Dressage4Kids HorseMastership Clinic. 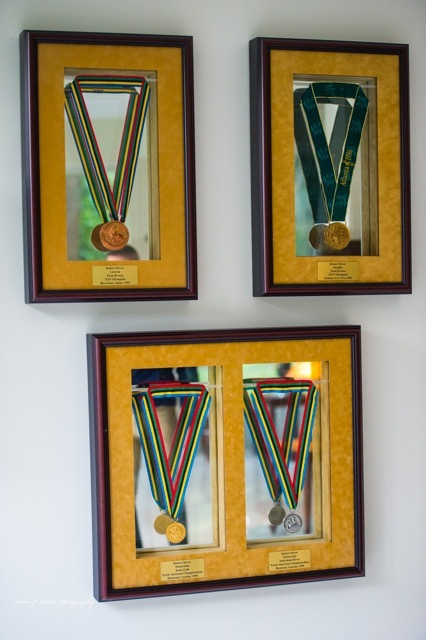 A beautiful collection of Robert’s gold, silver and bronze medals. When it comes to Robert’s own physical medals, they were often misplaced about the house. “They would be in drawers and I didn’t know where they were, or in a cupboard, or whatever. Then the housekeeper would find them and stuff them someplace else so that nobody would take them.” Finally, while Robert was gone to Europe, his partner, Robert Ross, took all of his medals and had them put in frames with mirrored backs. “They’re beautiful,” Robert said. With Robert’s medals safely secured, he was ready to help the U.S. bring more home. 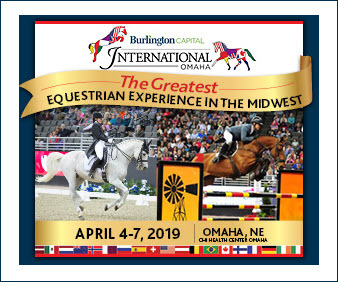 He was hired as the USEF’s dressage technical advisor in 2009, and it was announced in December 2016 that he’ll continue in that position for at least the next three years. “The first thing that I did when I got the job as technical advisor was to create the Roadmap to the Podium,” Robert said. His Roadmap was a 58-page presentation created with the help of other coaches, the staff from USEF, and then-USDF President George Williams that detailed everything from the training programs for children to the elite athletes, and everything necessary to meet those goals, like fundraising, sponsorship and competition organization. Robert enjoys sharing his dressage experience with up-and-coming dressage riders. 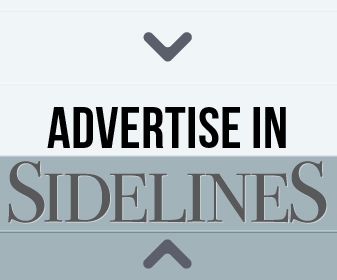 One of the keys to U.S. success is funding, and the American Equestrian’s Got Talent fundraiser is helping with that. 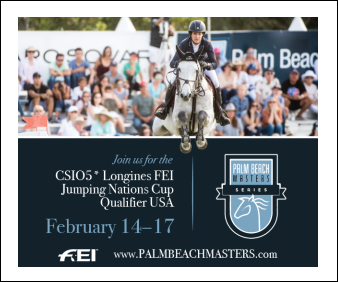 Each week during the Winter Equestrian Festival and Global Dressage Festival in Wellington, Florida, Wednesday nights become a catered dinner theater where attendees can vote for the winner of the night’s $1,000 prize, who will get a chance at the $10,000 prize in the March 19 finale. 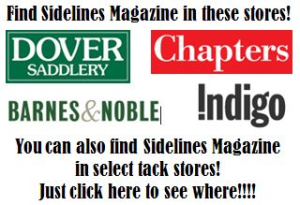 Anyone involved in the equestrian community can compete, from friend of a rider to farrier and vet, and people from the entire South Florida community attends. 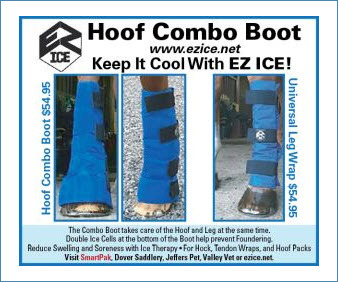 While 80 percent of proceeds go to dressage, 10 percent goes to the winner’s equestrian sport, and the remaining 10 percent goes to the other FEI sports.